George Gristey was born in Hackney on 13th March 1890. At the time of his death his mother, Laura, lived in Cranbrook Rd, Green St, Bethnal Green. 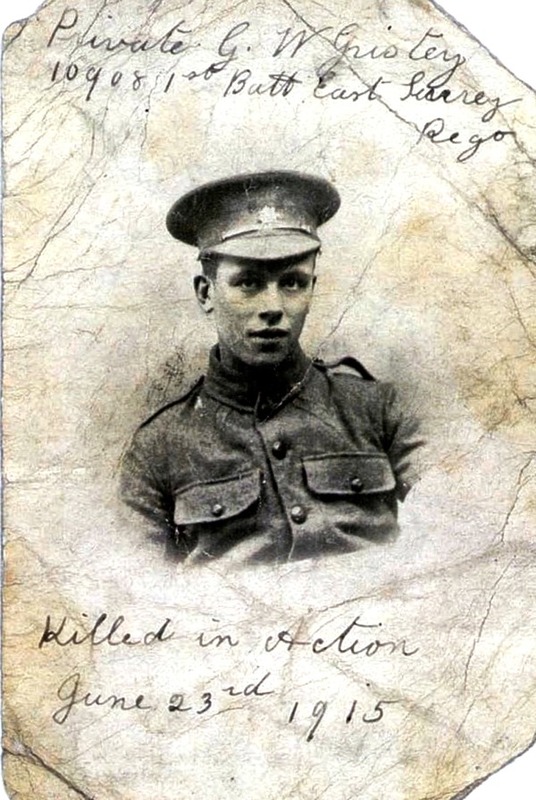 George served as a Private in the East Surrey Regiment and was was killed in action in Belgium on 23rd June 1915 and buried at Woods Cemetery, south-east of Ypres in West Flanders. 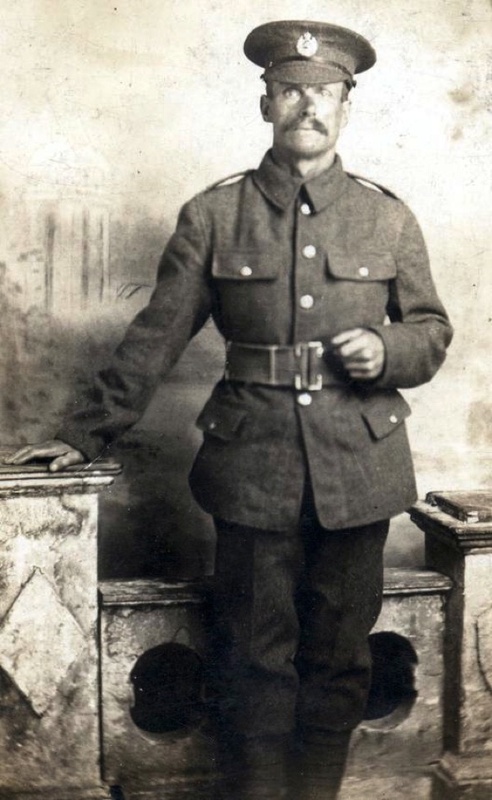 Arthur Outram was born on 20th September 1890 in London St, Ratcliff and died in Belgium on 10th October 1917 while serving as a Sergeant with the Second Battalion, Duke of Wellington’s Regiment. Like many of his comrades, he has no known grave, but is commemorated on panel eighty-two of the Tyne Cot Memorial in the Tyne Cot Cemetery (the largest British war cemetery) south-west of Passchendaele, and his name is also upon the memorial at St Anne’s, Limehouse. He married Ellen Callaghan at St Matthew’s, Limehouse, on 26th November 1916 and they had one son, also called Arthur, who was less than a month old when his father was killed. Issy Smith VC (pictured on the left) was born as Ishroulch Shmeilowitz in Alexandria, Egypt, on September 1890, the son of French citizens Moses and Eva Shmeilowitz, who were of Russian origin. Issy arrived in the East End aged eleven, as a stowaway, and attended Berner St School, Commercial Rd, before working as a delivery man locally. He joined the British Army in 1904 and was present at the Delhi Durbar of King George V and Queen Mary in 1911. In recognition of his Victoria Cross, he was also awarded the French Croix de Guerre and Russian Cross of St. George. He died on 11th September 1940. Henry Sumner was born on 27th April 1875 in Dingle Lane, Poplar. 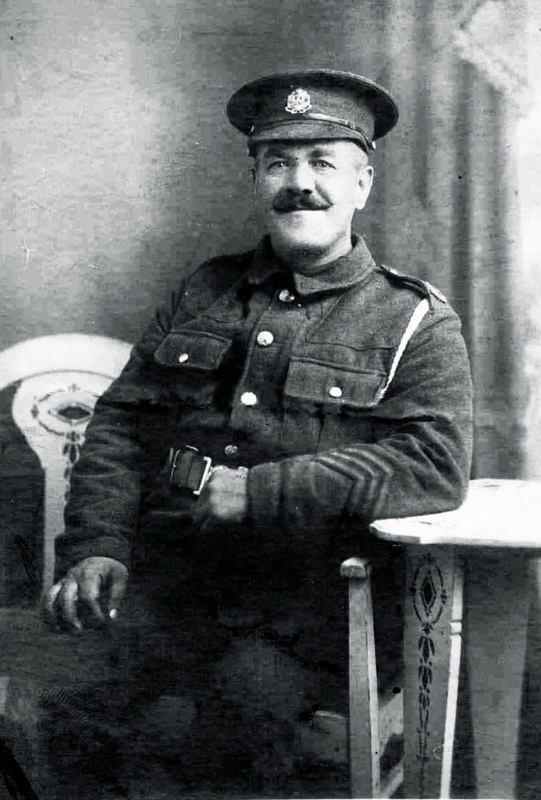 Henry was a professional soldier - a Corporal in the Tenth County of London Regiment who served in the Boer War and the First World War, when he became a guard at the German Prisoner-of-War camp at Alexandra Palace. He married Margaret Fenn (1882-1958) at St Saviour’s, Poplar, on 7th October 1904 and they had eight children. He died at the Queen’s Hospital for Military Personnel in Chislehurst, Kent, in 1924. Joseph Klein (1888-1974) lived in Gold St, Mile End Old Town, and he never spoke of the conflict in which he was awarded the 1914-15 Star, British War Medal and the Victory Medal in World War I – It is believed he threw them all in the Thames. Richard Williams was born as William Waghorn on 4th April 1875 in Old Brewery, Hayes, Kent. He worked in Kent as a labourer and moved to the East End to work on the construction of the Blackwall Tunnel. He married Margaret Constable (1888-1966) on 28th June 1913 in the Registry Office in Mile End Old Town and they had twelve children and lived all their married life in Stepney. Richard enlisted for World War I but his lungs were damaged in the conflict, causing him to suffer from poor health until he died in Stepney in 1947. 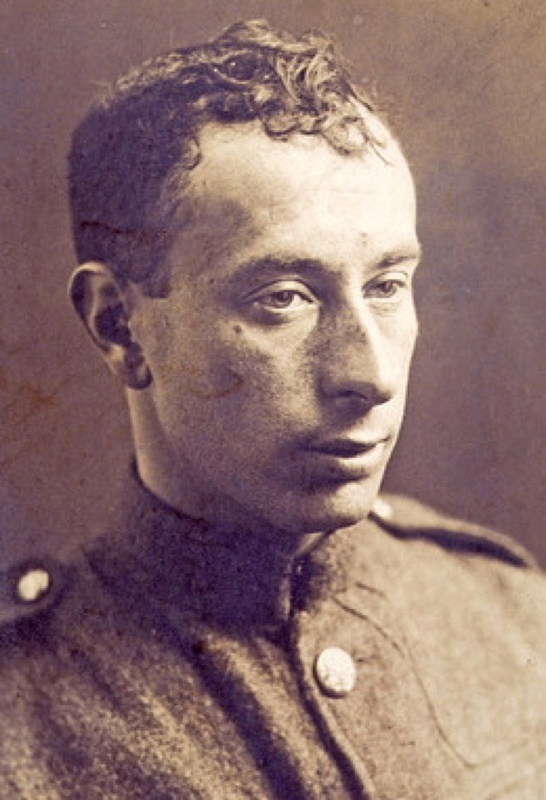 Poet and artist, Isaac Rosenberg, who died in action at the Somme in 1918 at the age of twenty-seven, lived at 47 Cable St between 1897 and 1900 where he attended St Paul’s School, St George’s-in-the-East. In 1900, the family moved over to Stepney so Isaac could attend Baker St School and receive a Jewish education. Isaac loathed war and hated the idea of killing but, while unemployed, he learned that his mother would be able to claim a separation allowance, so he enlisted. 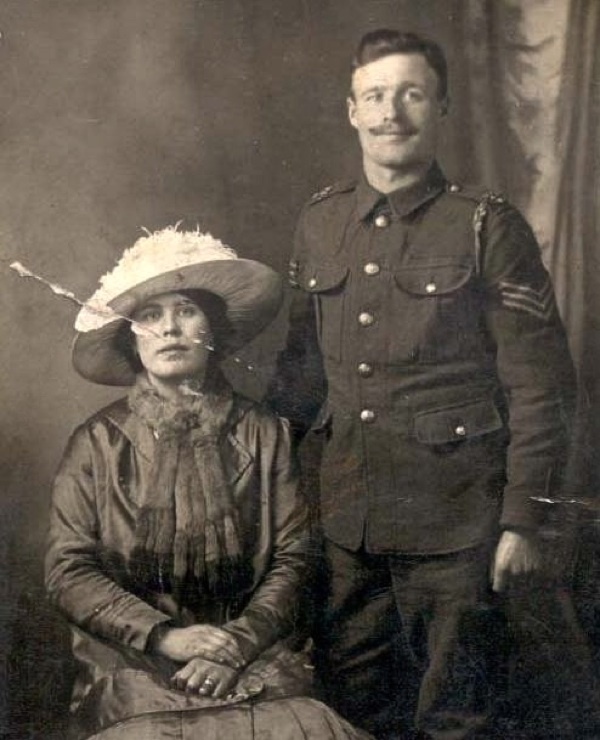 He was assigned to the Twelfth Suffolk Regiment, a Bantam Battalion formed of men less than five foot and three inches in height, but in the spring of 1916 he was transferred to the Eleventh Battalion of the King’s Own Royal Lancaster Regiment and in June of that year he was sent to France. His ‘Poems from the Trenches” are recognised as some of the most outstanding verse written during the War. 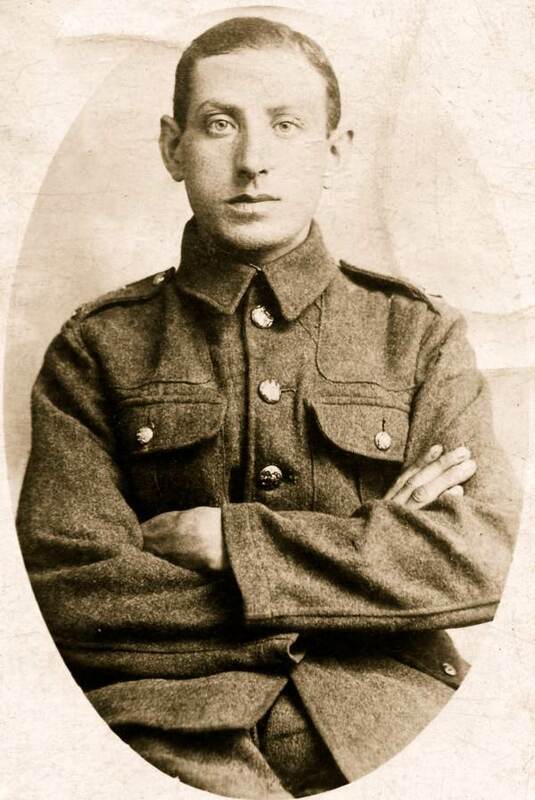 Samuel Adelson who resided with his aunt at 8 Gosset Street, Brick Lane was in the Thirty-Eighth Battalion, Royal Fusilliers, and fought in Palestine in 1918. He was born in Nemajunai, Trakai, Lithuania in 1896 to David Adelson and Zlota Gordon Adelson. After the war, in 1920 Samuel emigrated to America where he died in Springfield, Massachusetts, in 1925. Charles Hunt was born in 1888 in Mile End and served as a Private in the Twelfth (Prince of Wales’ Royal) Lancers. The Lancers arrived in France on 18th August 1914 and only ten days later, fought a battle against a regiment of German Dragoons at Moy. 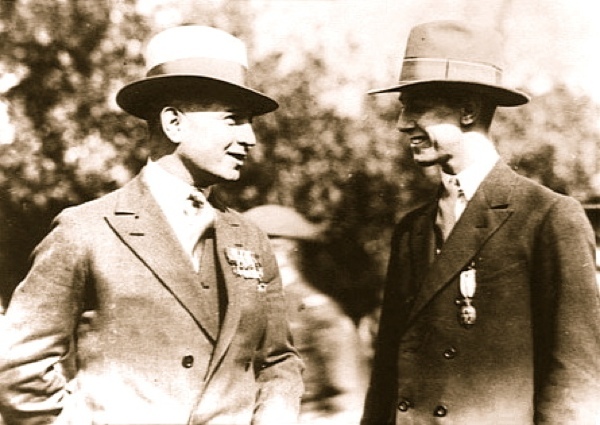 Charles was awarded the 1914 Star and Victory medals but, just eleven days after arriving in France and at only twenty-six years of age, he died of his wounds – Charles’ grave is in Bavay, a small cemetery that was behind German lines for most of the war. George Outram was born on 17th March 1870 in Dunstan Rd, Mile End, the son of Arthur Outram (1826-1904) and Martha Jane Harden (1841-1877). He married Margaret (Mag) Charlotte Constable (1871-1932) on Christmas Day 1889 at St Paul’s Church, Bow Common, which stood on the site of the modern St Paul’s with St Luke’s Church, at the junction of Burdett Rd and St Paul’s Way. After service in the Merchant Navy, George became a lighterman, and he and Mag had ten children. 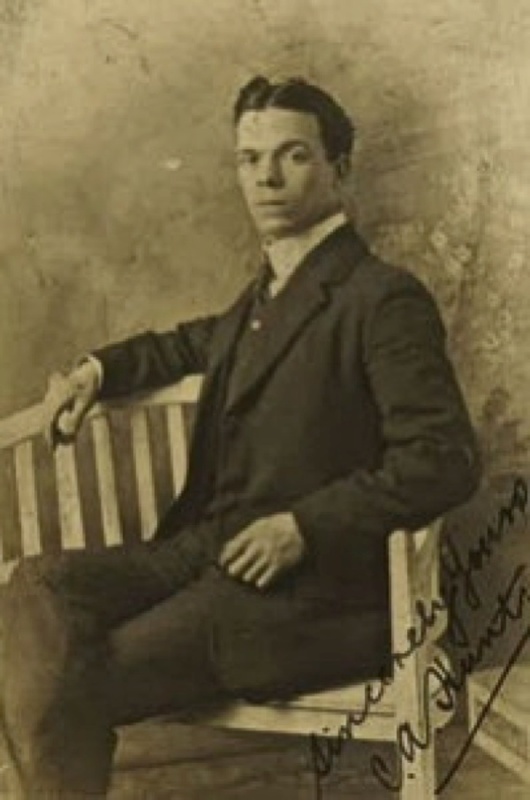 The picture shows George in an army uniform, taken during the World War I, when he took barges across to France. Although not enlisted in the army, he wore a uniform so that if captured by the Germans he would not be shot as a spy. He died in Mile End Hospital in April 1938, aged sixty-eight. Henry Maffia and Elizabeth Maffia with their son John, taken in 1915. Henry was wounded twice in Flanders and gassed on the last day of the War, dying on 16th March 1920 from the effects of the gas. Liberal MP for Bethnal Green, Sir Percy Holman, fought until 1928 to obtain a War Widows’ Pension for Elizabeth Maffia. Robert Tolliday (front row first left) lived in Peabody Buildings, Shadwell. He served in the Twelfth Lancers until 12th May 1917 when the Lancers became the Fifth SMG and he stayed with them until the end of the War. He was one of the last who charged into the German lines on horseback with no weapon beyond a wooden lance and when a bomb exploded beneath his horse, Old Tom, it kept on running with its entrails streaming until it collapsed. My grandfather George Church came from a long line of East Enders dating back (as far as I have found) to the early 17th century. He served in France until he was badly injured in a mustard gas attack early in 1918, and evacuated. During his active service, three of his young children died, with my grandmother and their one surviving child left alone awaiting his return. He died from the effects of the gas attack, leaving five young children, including my father, who saw active service from 1939 to 1945 in the RAF. Yes, these World War I themes will keep us busy this year. Great things are there to come! It’s good to see a picture of Issy Smith. He was one of two VC winners from Hackney. There might have been more but these two survived the war. The other was my dad’s cousin Harry Kenny. Harry and Issy unveiled the war memorial at Hackney. We will be holding a photographic exhibition and producing a commemorative booklet of photos and stories of East Enders in World War I – We are concentrating in the main on people who lived in / or had close ties to Tower Hamlets but would be happy to accept contributions from across London’s East End. All images and attached stories will then be given to the Bishopsgate Institute after the exhibition for their records. If anyone would like to contribute images and a few lines to accompany the photo, please either email me – andy.coleborn@thch.org.uk – or pop into our office at 285 Commercial Road, E1 2PS (Opp Watney Market) and we can take a copy. Thank you for the post. My late grandfather had wanted to serve but the Armistice was signed when he was in boot camp in the American state of New Jersey having joined up on his 18th birthday in August. Never quite got over not going. Kept the uniform for the rest of his life. Very moving stories and images, reminiscent of the brief obituaries published by the New York Times in book form of the thousands killed in the attack on the World Trade Center towers. For years and years and years, we would hear only of the officer/political class, to a point that would nearly make me ill – and sometimes scream. My father and both grandfathers survived both World Wars, but not without heartbreaking PTSD injury for all three. Thank you sincerely for these important stories. 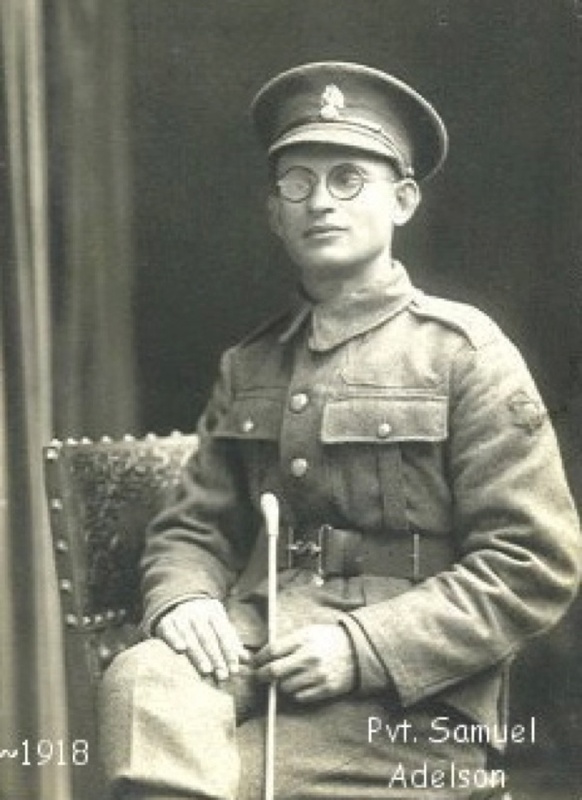 We are a British Jewish family and my grandfather Joseph Hyams, served in the Royal Gunners Artillery from 1917. He was a married man with one child when he was called up and around 30 years old. He couldn’t sleep in a bed for three years after being in the trenches. My grandfather was the Company Tailor and he went on after the war to work from home as a tailor, making robes for the Catholic church until his death in 1962. My grandparents had four children and the eldest, Stella, born in 1916, is now 97 years old. She has outlived her sisters and brother, including my mother, Daphne Hyams. I loved all the stories on this site and I am part of the Isaac Rosenberg Proposed Statue Committee. Follow us on Twitter @Rosenbergstatue. 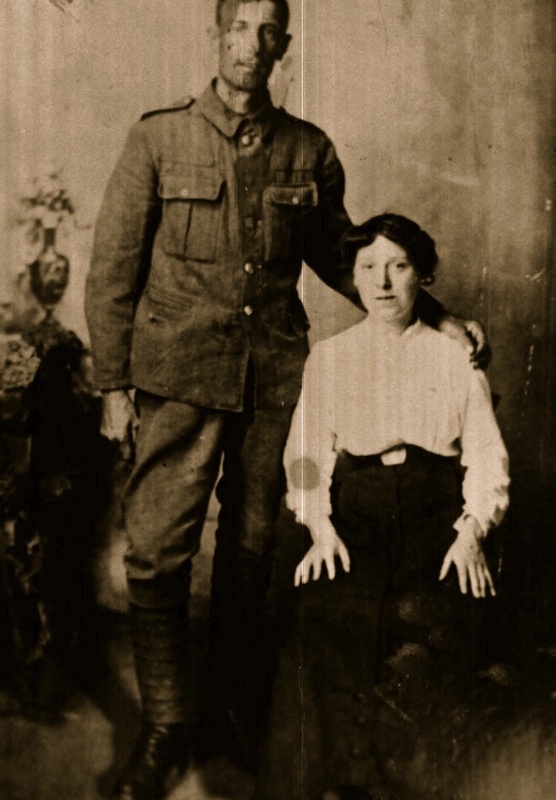 My Grandad,Robert Kent,born at 3 Dunloe Street,Shoreditch in 1899.saw action with The Kings Royal Rifle Corp in Belgium 1918 and the Russian Revolution in 1918 when the Government sent an expeditionary force to support the White Russian army loyal to the Czar.demobbed but re-enlisted with the Auxuliaries also known as the “Black and Tans” in Cork,Ireland in 1921.Passed away 1966. 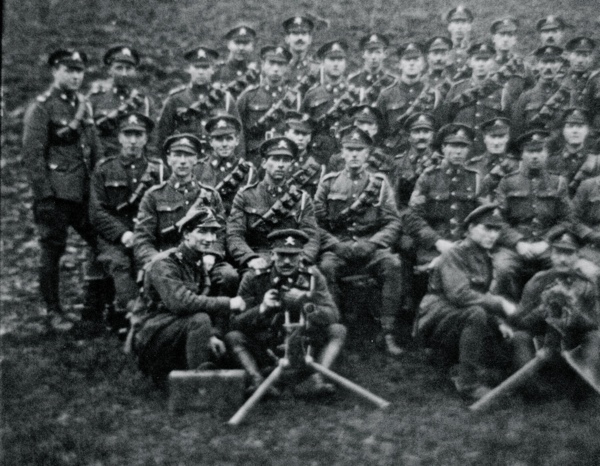 I have only just come across your booklet online re: Eastenders who served in WW1. My Father who was born and bred in Bethnal Green (as was I), served with the Royal Field Artillery 7th D.A.C. He was at the first battle of Ypres. I have his ‘Pip, Squeak & Wilfred’ and a photo of him in uniform and demob suit. You might want to add his details to any appropriate archive you may have. I am desperately trying to find a photograph of Charles Edward Urie who lived in Bethnal Green and was killed at 24 years old in WW1. He worked at the Mount Pleasant Royal Mail office in London. 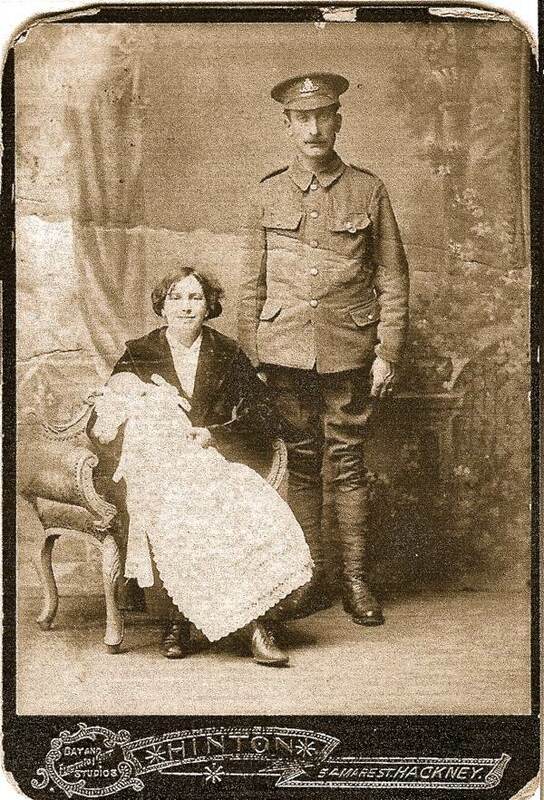 My grandfather, William Boulton, served with The 6th Siege Battery, Royal Garrison Artillery and was wounded in action at Passchendaele in August 1917. He returned to England and was discharged as a result of his wounds in December of that year. He died at home, 111 Belgrave Street Stepney, in February 1919 at the age of 30. He was treated as a casualty of the war, and my grandmother awarded an army pension, although to my knowledge his name is not commemorated on any war memorial.